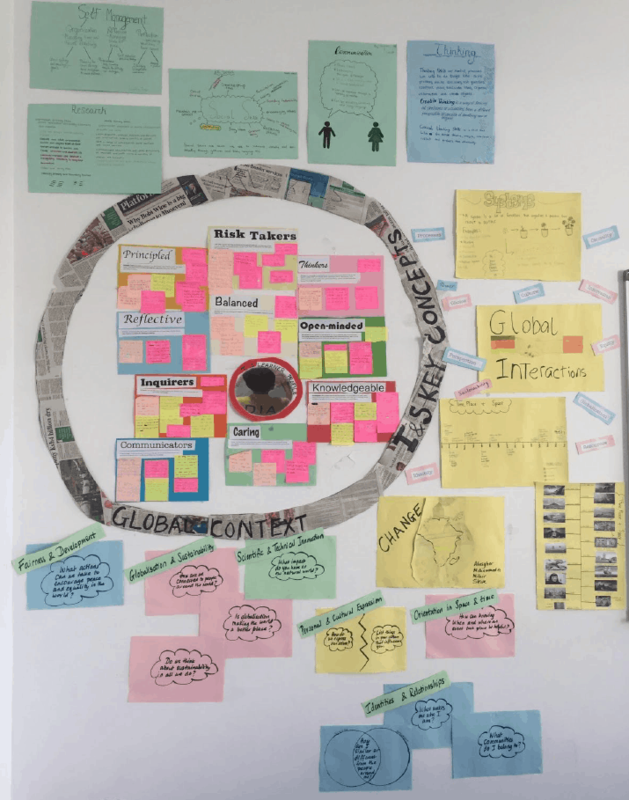 As teachers, the best aspect of the IB Middle Years Programme (MYP) is the opportunity for teachers to design their own units. In our Individuals and Societies teaching team we have debated, collaborated and developed a number of unique units which always brings a buzz and excitement to our work lives. What if our students could experience those same joys (as well as the frustrations) of designing their own units? What would that look like? For the last three years, students at Dar es Salaam International Academy have been doing just that. Students explore the MYP framework and develop their own units. Initially this was designed as a way to introduce the MYP to the incoming students. After developing the unit, students pitch it to their class and vote on the topics they would like to learn about. It was such a successful journey for our students that the unit was adopted across all years. Every September for the last three years students have planned their own Individuals and Societies units and there has been a marked improvement in the units they develop and pitch to their friends. Some students end the unit already reflecting on the unit idea they would like to develop the subsequent year! Through this framework students get to inquire about areas of interest and it helps them to conceptually understand the different elements of the MYP particularly the key concepts, the global contexts, the statement of inquiry and writing developed factual, conceptual and debatable inquiry questions. For their summative assessment, students complete unit planners using the IB template. Thus, they create summative tasks and learning engagements that can potentially be taught. Students appreciate the thorough planning process that teachers undergo in creating the units. They also understand the conceptual nature of the MYP allowing them to build interdisciplinary links much more easily when they identify that the same key concepts are explored in two different subjects—e.g. systems in both the Science and Individuals and Societies subjects—and then they develop their research and thinking skills by asking critical questions. One of the lessons to kick-start the unit explores what topics are traditionally covered in Individuals and Societies and what other topics could be covered. Students explore and debate who decides what history or geography we learn in school and why; which perspectives dominate, and which are hidden. To promote critical thinking another lesson explores how different sources can bring out different perspectives on an issue. Students then realise that choices have to be made when designing curriculum. This unit gives them an opportunity to have a say and express what they think is important and why. Students were assessed through two summatives. 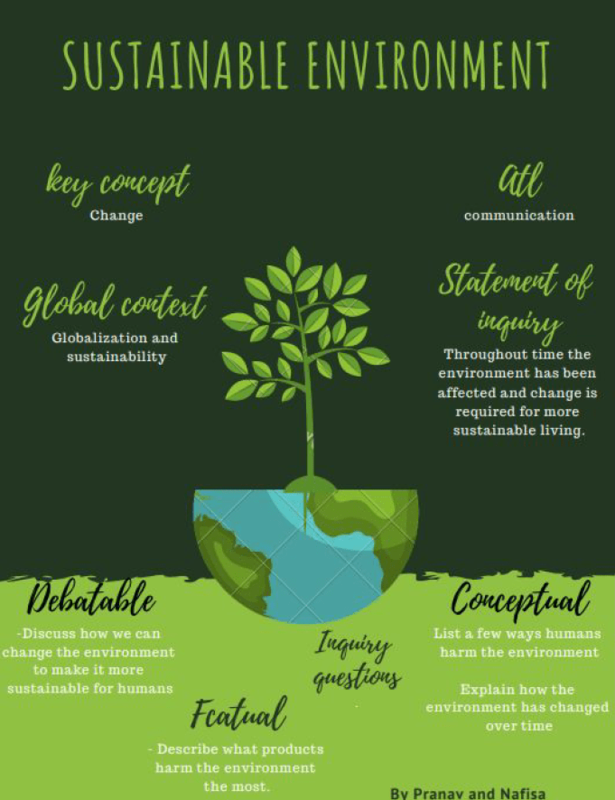 First, a writing task outlining students initial ideas which needed to include framework terminology: MYP Year 2 carried out a terminology quiz and MYP Years 3-5 answered questions that required application of their conceptual understanding. This enabled the students to assess Objective A: knowledge and understanding. Second, creating an MYP unit plan on a topic of their choice. 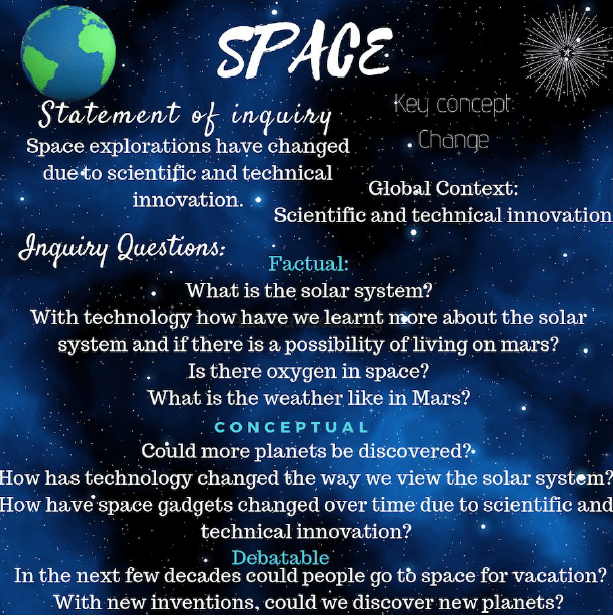 The process of drafting inquiry questions and a statement of inquiry, as well as learning engagements, enabled students to assess Objective B: Investigating. By completing the unit plan and pitching it in an oral presentation to the class in a mock competition students assessed Objective C: Communication. And, finally, Objective D: Thinking Critically was assessed through the breadth and depth of inquiry questions and learning engagements in the unit plan. 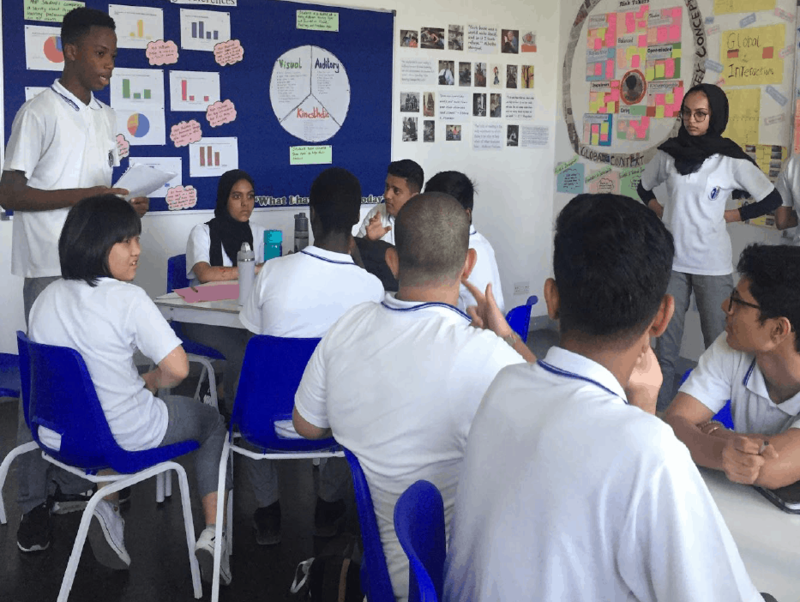 When students are new to the MYP, this hands-on introduction to unit planning allows them to grasp the MYP concretely, especially when they make connections to the Primary Years Programme (PYP). valuing the opinion of all members of the class. And the same inquiry in MYP Year 5 sparked a discussion on how being able to think in different languages allows one to be more open-minded. 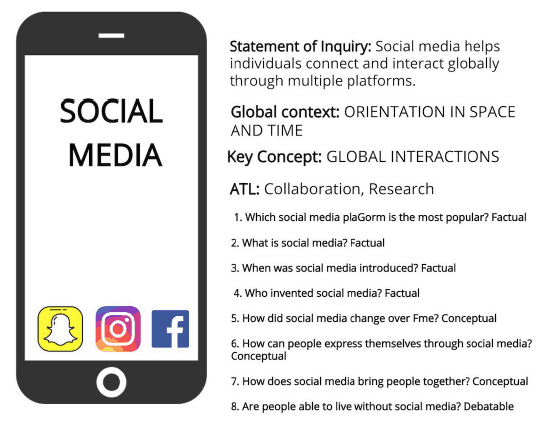 The unit promotes student agency every step of the way—by prioritizing topics that students want to learn about, by requiring them to develop their own questions thus developing their thinking further on the topic, and by taking ownership to complete their unit plan and pitch it to their friends. This develops confidence year on year until, finally, students lead three classes on the topic selected by the class in MYP Year 4 and 5. 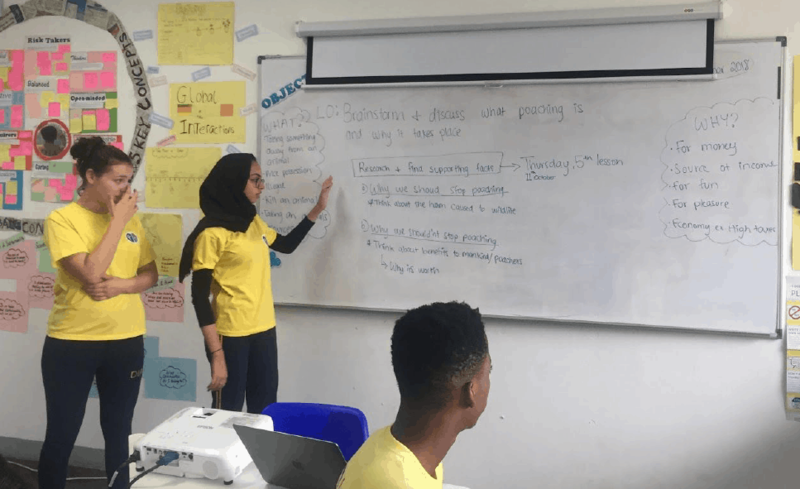 This year MYP Year 4 chose to learn about Feminism in one stream and the Industrial Revolution in the other, and MYP Year 5 chose to learn about poaching. And we have witnessed a development in the quality of units as individuals from more skeletal unit plans in year 1 to more detailed plans as they progress through the years. This year, students even created infographics as an #ArTech Integration to visually represent their units. Ismat Sheriff, Natasha Haque and Stephan Mulder are IB educators at Dar es Salaam International Academy in Tanzania.